Discussion in 'Axe, Tomahawk, & Hatchet Forum' started by Gator39, Jul 15, 2017. 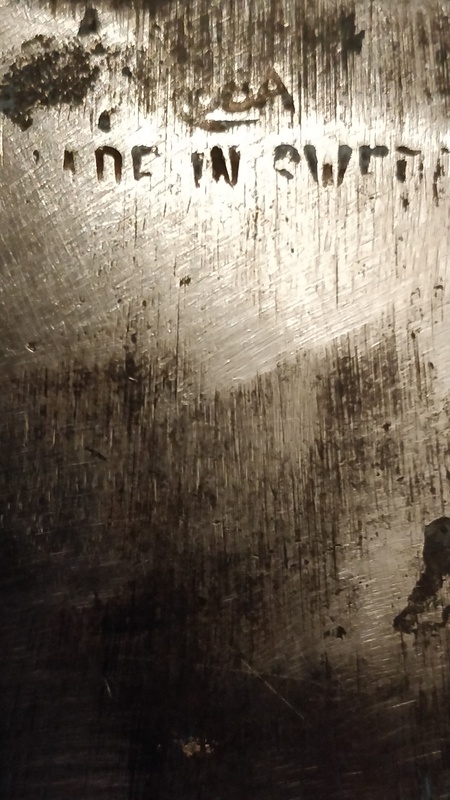 As a newbie to axes, I always thought if an axe or hatchet had a resin filled eye, it was an indication of a cheapie short cut in new production. As with all things, I'm learning that may not be the case. Can the wise elders share their knowledge on this practice? 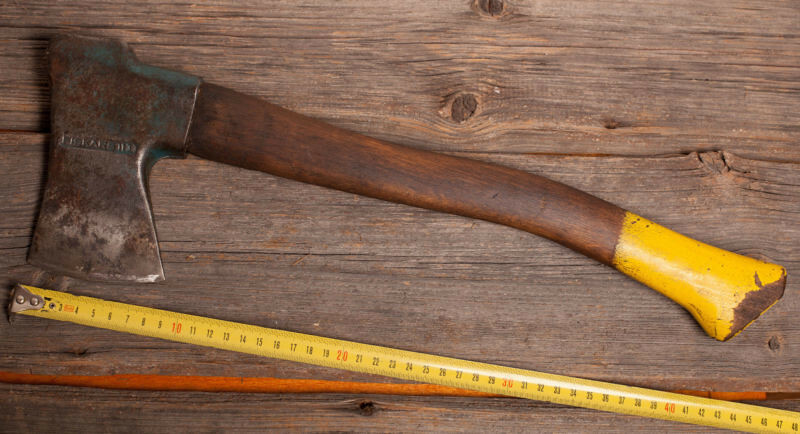 Plumb started doing it in 1956 under the name 'Permabond'. Modern fiberglass handles are typically installed this way. As you say, most of the new stuff is hardware store trash. The old Plumbs are fantastic. Can't say I have ever seen a perma bonded handle that was loose. Even some that where badly weathered from being left out in the elements. There is some info in this thread from a while back that touches on Permabond - several pages in. Some of the import Swedish axes had epoxy in the eye as well. You can always get it out and rehang on a new handle if need be. ...Some of the import Swedish axes had epoxy in the eye as well. 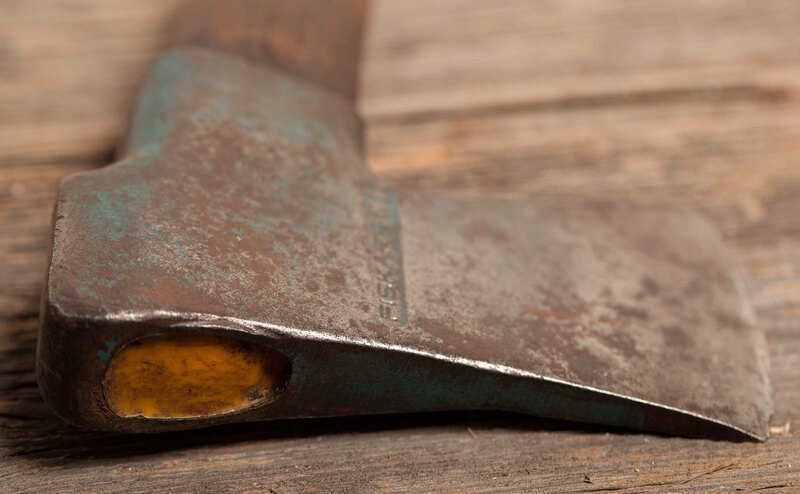 "...Forged steel head with permanent-bond 'Agdorfix' wood handle..."
Gransfors Bruk also used epoxy for a while. According to the company history, in 1988 (or thereabouts) Gransfors stopped using "the epoxy adhesive previously used for attaching the handles." BamaDADx3 and Agent_H like this. I have a stack of Swedish Army H-Bs what are epoxy fitted. As stuck in wood & wiggled to remove, notices some looseness one sees at the haft shoulder. One might think of it as a loose head, But its not coming off... Otherwise perfectly serviceable. Square_peg and rjdankert like this. Some of the import Swedish axes had epoxy in the eye as well. . . 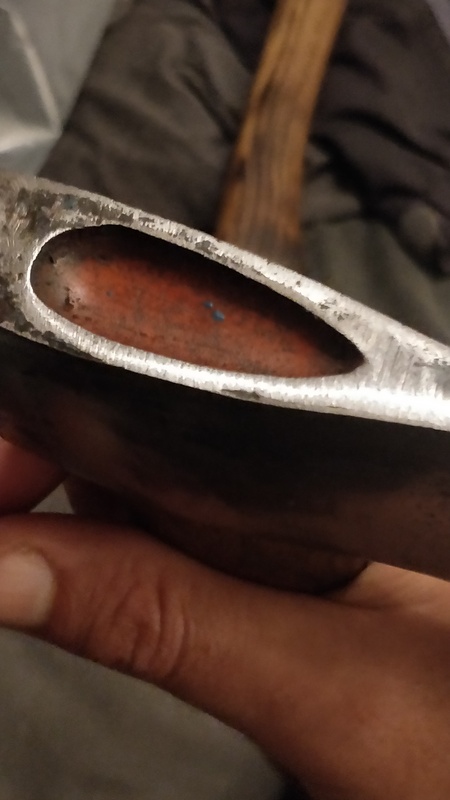 I have a Hults Bruk hatchet with epoxy and I've seen pictures of other HBs with epoxy. I've tried to get a date range for those, but so far no luck. Dropped the shoulder extending the tongue. Sanded and oiled the handle. Sharpened the bit. Cut a kerf (as ablenumbersix mentioned there was no kerf and no wedge, just epoxy). Rehanged the head using chair lock on the inside of the kerf and the wedge. 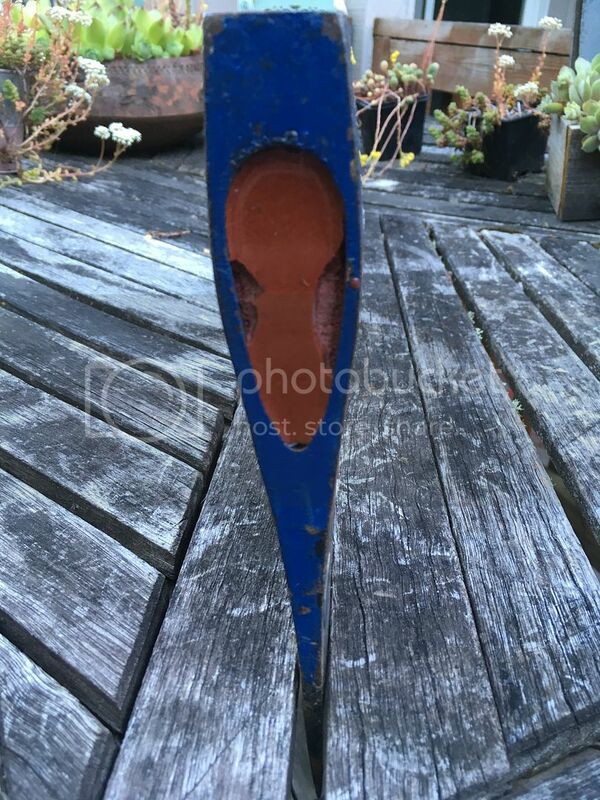 Sharpening is getting better with practice, but maybe you'll notice that the heel and toe of the bit are more acute than the centre of the blade. This despite my efforts to do the opposite. Not sure why this happened. Hope this proves useful for others wanting to rehang a similar model. Billnas, after they were absorbed by Fiskars used epoxy as well. Moonw, Square_peg, Kevin Houtzager and 1 other person like this. Epoxy has been used in extensively in Europe. I use it for bonding honeycombs in cars (the 200KG/cm2). But I really don't like it for axes. You can sand it down however, but its a lot of work! I only use it for things that don't need replacing under normal circumstances. Havent seen a fiskars stamped one before! I thought it was created to teach People how to Cuss. Because that's what I end up doing every time i have to try and remove one. Moonw, rjdankert, survivor45 and 1 other person like this. 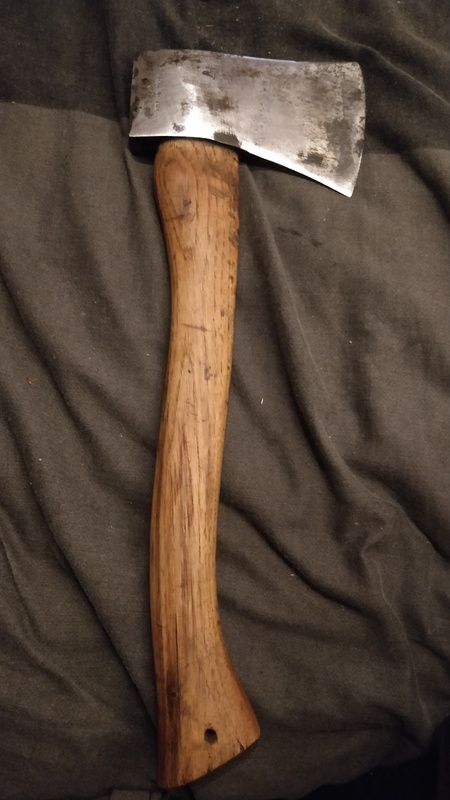 I have a Diamond brand axe, stamped HK behind the eye, that was given to me, handle looked fine, epoxy'd head, sharpened and took about 20 swings into splitting a log, started to feel loose, about 5 more swings and when I pulled the handle up the handle slid clean out of the eye leaving the epoxy and some woodfibres. +1 for traditionally set heads, at least you can see when they need a tap, and can access them to do said tapping. Plumb permabond is some of the toughest stuff out there IMO. Never had one slide off without drilling it into swiss cheese first.